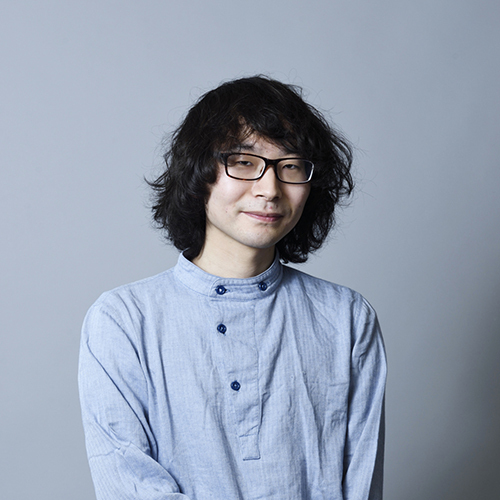 Born in Kagawa Prefecture in 1994, Sosuke Ueta is enrolled at the Tokyo University of the Arts, Graduate School of Fine Arts, Department of Painting Printmaking lab1. 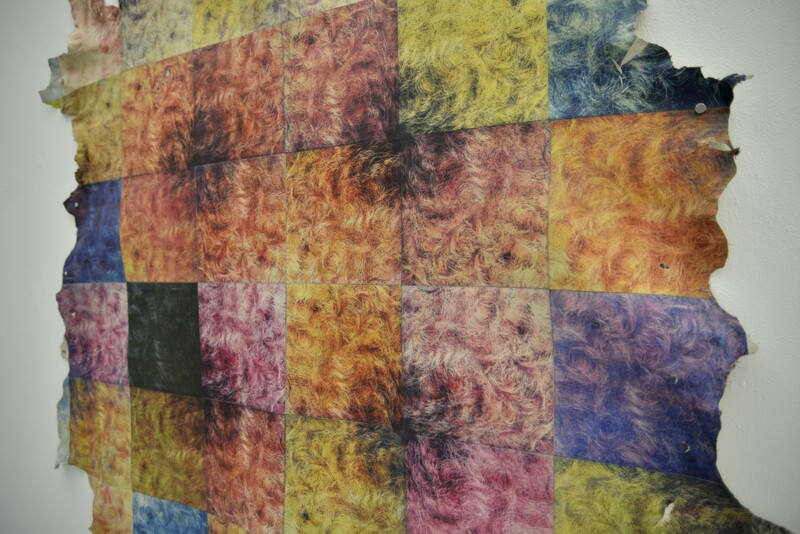 Based on the key words “between living and non-living things”, he visualizes the moment of intersection between organic and non-organic entities using printmaking and reproduction techniques. He was a scholarship student under the Mitsubishi Corporation Art Gate Program in 2016. He was an exchange student at the Academy of Fine Arts and Design in Bratislava in 2017, and was a recipient of the ERASMUS+ scholarship, as well as a participant in the fearless x Sosuke Ueta Collaboration Project at Nefertiti Tokyo in Nishi-Azabu. For this work, Ueta investigated the process by which the hair of the Hungarian Mangalica pig rots. 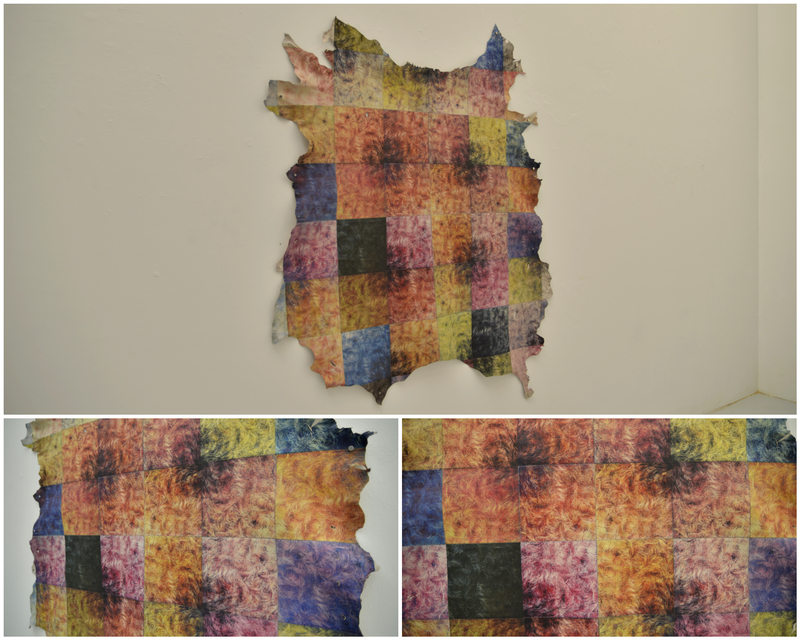 He broke the resulting photographs into CYMK tones and created plates from them, which he then used to print a color chart using the entire skin of the pig. The printing of the hair from its normal state to rotten state on a single blank skin serves to give form to the beginning and end of life and the correlation thereof with nature. 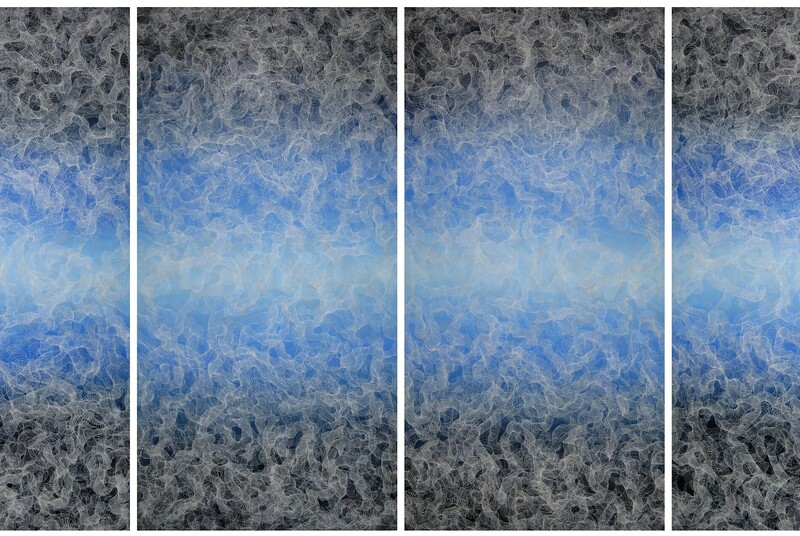 This work creates a boundless immanent space in which multiple layers of space and phenomena intertwine, much like a subconscious world that is both near and far. From this a structure emerges that is not simple, like a branching tree, but rather a complex interweaving of rhyzome shapes. In this world in which nature and humans co-exist, life, given form, is forever born and lost in the cyclical flow of natural processes which lead to all phenomena. "[Opportunity] This project is a collaboration with “fearless”, a cosmetic company known for its unique bottle designs, started through the production of the owner of “Dear”, a company that produces and rents designer office buildings. 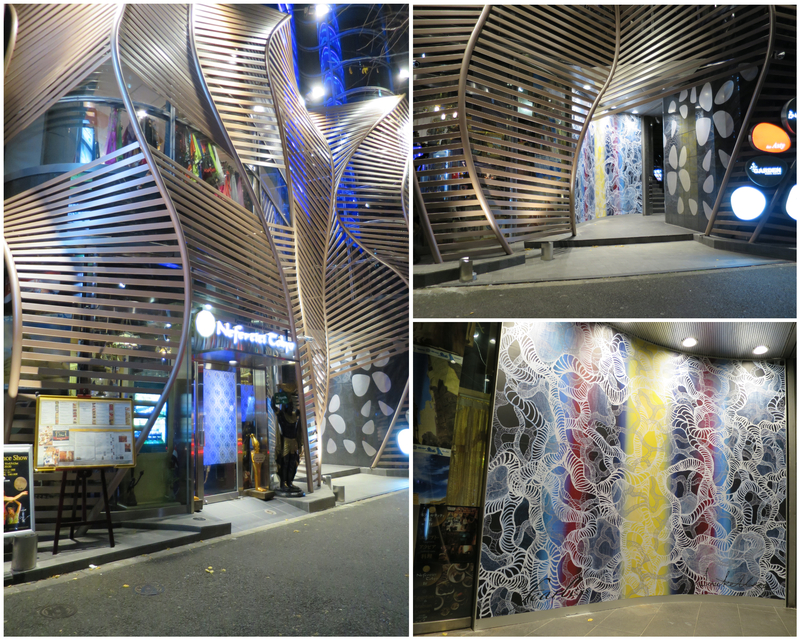 The project, the transformation of the two dimensional work “The interval of thought” into a large scale billboard in Nishi Azabu, Tokyo, was realized in December 2016 with the warm assistance of many individuals. 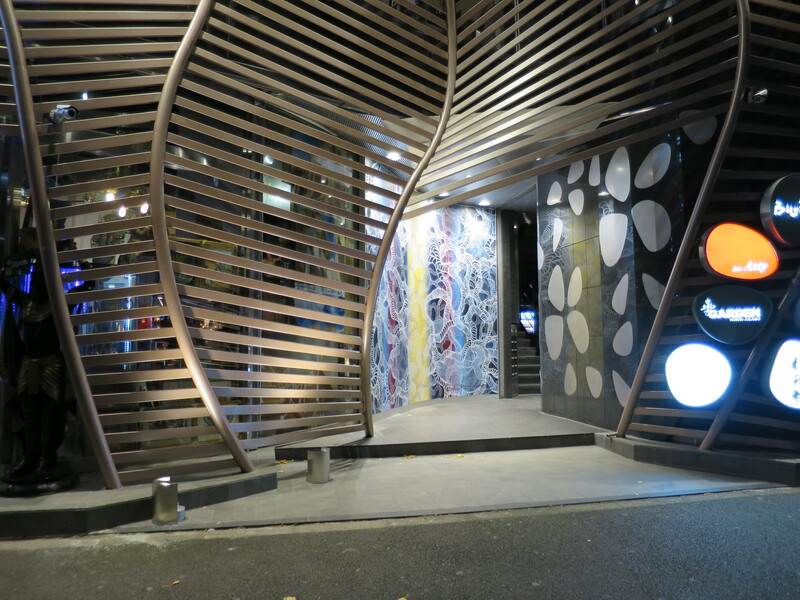 The building was designed and supervised by the Amano Design Office. 3-1-20 Nishi Azabu, Minato City, Tokyo 〒106-0031"